The Henry W. Gilbert Family (Herman's brother). 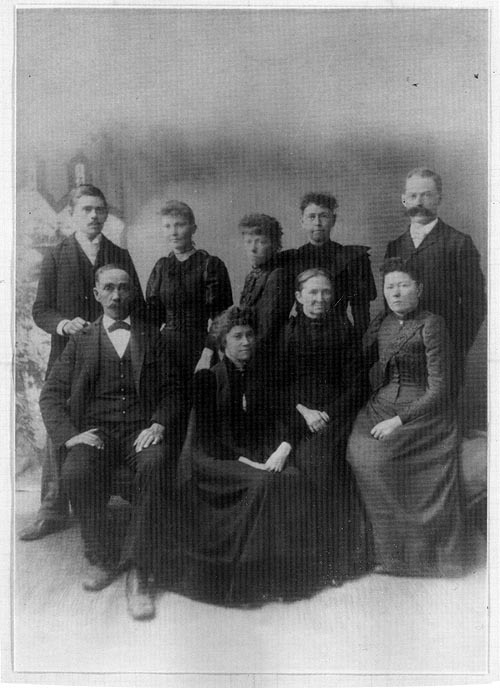 Top row, left to right: George, Mattie, Della, Mary, John; Lower row, left to right: Henry W., Minnie, Sarah (Gosnell), Ida. 1. Gilbert Gallery (1986-1996), v8 (198805): 35.